Incentive plans are highly effective to motivate and reward desired behaviors. These programs are win-win for both the organization and individual employees. 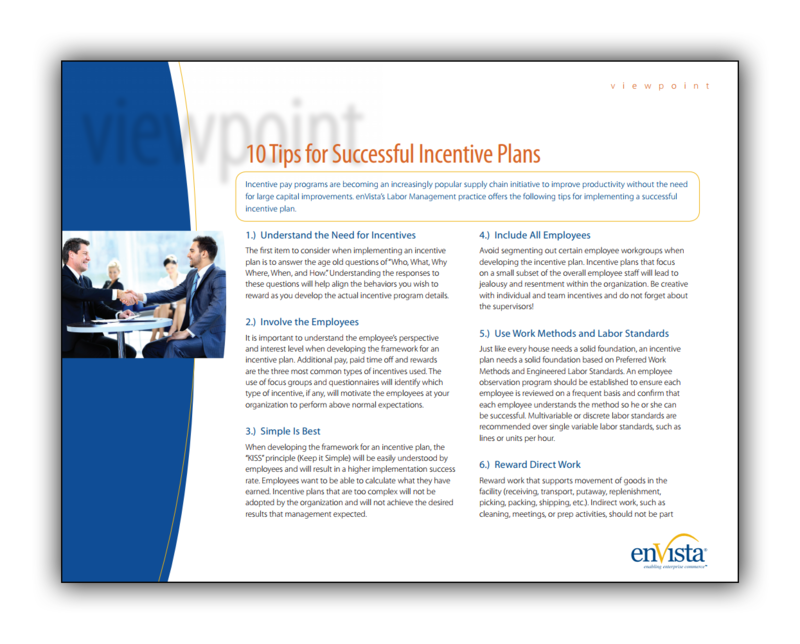 The 10 tips in this paper will help ensure your incentive program readily delivers intended labor productivity improvements and that your organization quickly adapts to, and delivers against, new guidelines. How to create effective incentives. When to reward desired behavior.